Sign the Climate Emergency Declaration petition. See our Vision of what a climate emergency declaration and mobilisation would look like. See the Actions page for ways you can help. See supporters of this campaign. Sign the petition asking for an immediate ban on all NEW fossil fuel export contracts. Talking points are here. Sign the offshore NMBI petition to ask the federal government to ban all NEW offshore oil and gas exploration and extraction projects. See the No More Bad Investments (NMBI) page for an overview of the state/territory NMBI campaigns and the model No More Bad Investments legislation drafted by Environmental Justice Australia. South Australia: Sign the SA NMBI petition. See the SA Action Kit for ways you can help. See the SA Talking Points for things to say to your local MP. Queensland: Sign the Queensland NMBI petition. See the Qld Action Kit for ways you can help. See the Qld Talking Points for things to say to your local MP. Victoria: Sign the Victorian NMBI petition. See the Vic Action Kit for ways you can help. See the Vic Talking Points for things to say to your local MP. New South Wales: Sign the NSW NMBI petition. See the NSW Action Kit for ways you can help. See the NSW Talking Points for things to say to your local MP. Tasmania: Sign the Tassie NMBI petition. See the Tas Action Kit for ways you can help. See the Tasmanian NMBI Talking Points for things to say to your local MP. Western Australia: Sign the WA NMBI petition. Northern Territory: Sign the NT NMBI petition. ACT: Sign the ACT NMBI + CED petition. OR, you can sign ALL the NMBI petitions via one handy form here. 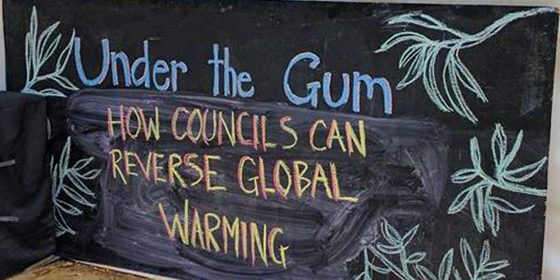 See the Local Government page for the vital role local councils can play in climate Emergency action. See the local council Action Kit for ways you can help, and see what the Darebin City Council are already achieving. See the global map and details of the 400+ local councils that have declared a Climate Emergency so far. See the Global Ups and Downs blog for relevant news and informative articles.